As you wish, a contest for those who give zero F's. Advance screenings of Once Upon a Deadpool are taking place December 11th in Toronto, Montreal and Vancouver, and you could win passes! To kick off the holiday season, the (sometimes) good guy in red is delivering the official trailer for ONCE UPON A DEADPOOL from 20th Century Fox! Audiences of almost all ages will soon be able to enjoy the Merc with the Mouth's reimagining of Deadpool 2 filtered through the prism of childlike innocence. "Fox has been asking for a PG-13 basically since the start in 2006," Ryan Reynolds told Deadline. "I've said no since 2006. Now, this one time, I said 'Yes' on two conditions. First, a portion of the proceeds had to go to charity. Second, I wanted to kidnap Fred Savage. The second condition took some explaining..."
Fred Savage will join Reynolds in new scenes for ONCE UPON A DEADPOOL in an homage to Savage's starring role in the 1987 bedtime-story classic THE PRINCESS BRIDE. Fred remarked, "while my participation in this film was anything but voluntary, I am happy to learn that Fudge Cancer will be the beneficiary of this shameless cash grab." 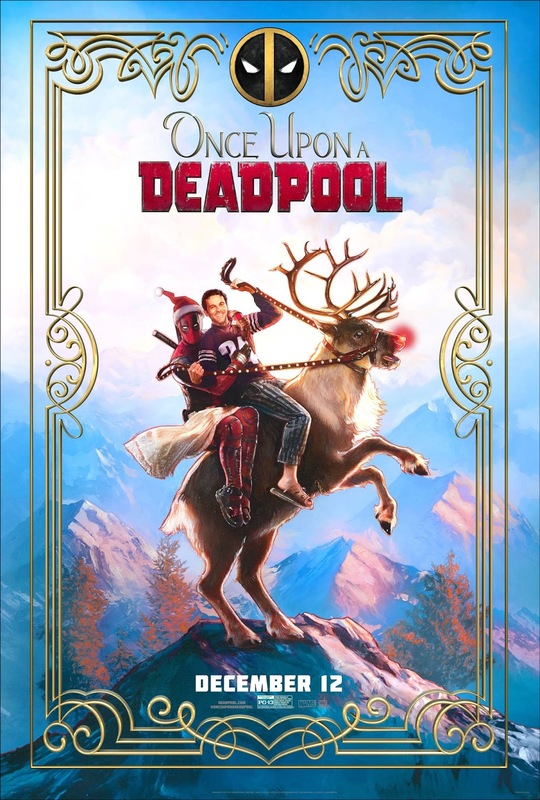 Once Upon a Deadpool is in theatres December 12th, 2018. Via Facebook: LIKE & FOLLOW our Facebook page and leave a COMMENT on the Facebook contest post to answer the following trivia question: Which The Princess Bride star appears in Once Upon a Deadpool? Also, don't forget to mention which city you're entering for. Click here to enter. Via Email: EMAIL thereelroundup@gmail.com using the subject line 'Enter Me to Win Passes to See Once Upon a Deadpool', and provide your full name and email address in the body of the email, as well as the city you're entering for. Contest open to legal residents of Canada aged 18 years or older at the time of entry, and closes Tuesday, December 4, 2018 at 11:59 PM Eastern Time. One prize per household. Odds of winning are dependent on the total number of entries received. Winner(s) will be selected at random, and will be contacted via Twitter direct message, Facebook message or email, depending on the method(s) of entry. Should a winner be disqualified or fail to respond in a timely manner in cases where further information is required from him/her to redeem the prize, The Reel Roundup™ reserves the right to draw another winner in his/her place. By participating in this contest, all entrants agree to be bound by these rules and regulations. The Reel Roundup™ accepts no legal liability in relation to the operation of this contest.